The New York Food and Produce Show was looking for an appearance by a well known New York sports celebrity who also had cooking skills. Look no further than the popular former New York Knicks star Charles Oakley who prepared a special appetizer and desert for the show guests. 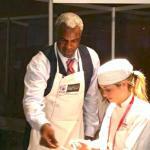 Charles Oakley's appearance made for a very fun show and was a huge success as guest chanting "Oak", "Oak" as he was preparing appetizers and deserts. A Charles Oakley personal appearance, Charles Oakley speaking engagement, or Charles Oakley endorsement will reflect well on your company. To hire Charles Oakley now for any corporate appearance, fundraiser, motivational speaker event, personal appearance, autograph signing, or website endorsement please contact our celebrity agents at 1-877-6-SPORTS. We will contact Charles Oakley or contact Charles Oakley's agent and provide you with the booking fees and availability immediately upon your request. Direct Sportslink is the only sports speakers bureau and talent booking agency based in the United States securing only sports talent for corporations, associations, and organizations for motivational speaking engagements, personal appearances, and endorsements. We are the premier sports celebrity booking agency and a sports celebrity procurement expert. Accordingly, we will provide you with any relevant Charles Oakley website information and booking agent details so that you can hire Charles Oakley for your next event. Oakley was born in Cleveland, Ohio. 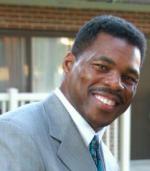 He gained a reputation for being a hard worker and tenacious rebounder for all of the teams he played for, especially the New York Knicks, where Charles played the role of partner to Patrick Ewing in the low post. Oakley was drafted in 1985 by the Cleveland Cavaliers, but his rights were traded to the Chicago Bulls, where he provided another scoring option and steady offensive and defensive performances to an up-and-coming Bulls squad led by Michael Jordan. He earned All-Rookie Team honors in 1986. Oakley was traded to the New York Knicks in 1987, and became a part of a core the Knicks built around, which also featured Patrick Ewing, John Starks, and Mark Jackson. Oakley's hard work and physical play for the Knicks won the hearts of many loyal Knicks' fans. 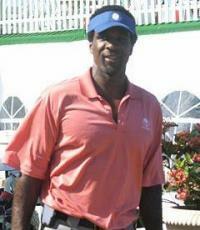 Charles placed in the top ten in rebounds per game five times between 1987 and 1994. In all but one of these seasons he played the full complement of 82 games. In 1994, he became an NBA All-Star and was chosen to the league's All-Defense 1st team. In 1998, Oakley was traded to the Toronto Raptors, and provided a veteran presence to a young team that included Vince Carter and Tracy McGrady. He later played for the Bulls again, followed by the Washington Wizards and the Houston Rockets. Oakley accumulated over 12,000 total rebounds in his career, nearly averaging a double-double (9.7 points, 9.5 rebounds) over his 18 years in the NBA. After his playing career he has spent much of his time as an assistant coach in the NBA. Based on your interest in Charles Oakley as a speaker or for a personal appearance, Direct Sportslink has provided you additional links below for other sports talent with similar appearance fees, speaker topics, and categories that match Charles Oakley.